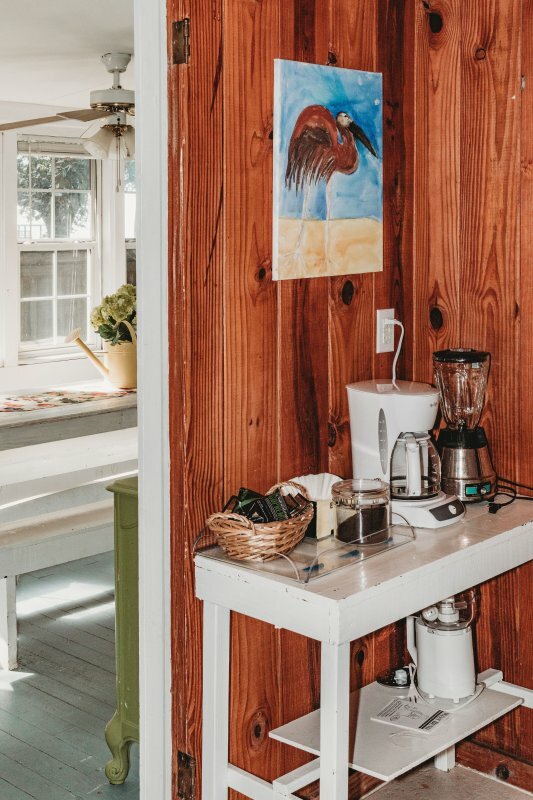 Cozy Krimmel Kottage on beautiful Mobile Bay is 45 minutes from Mobile, Alabama and one hour from Pensacola, Florida. 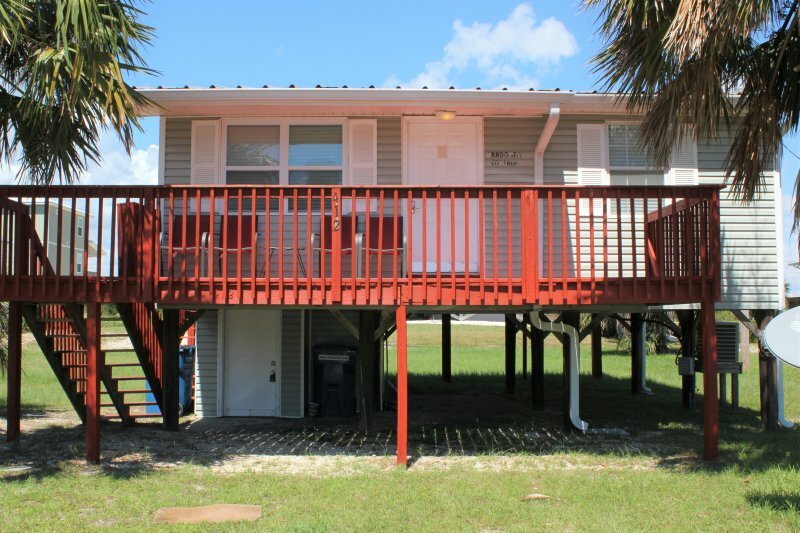 It comfortably sits on a sandy beach area on Mobile Bay which flows into The Gulf of Mexico. 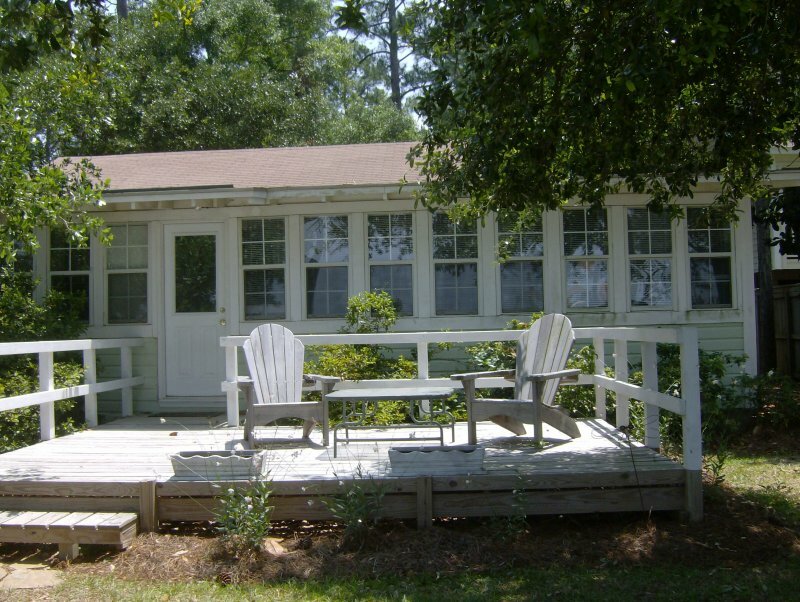 The Cottage is close to Oldtown Fairhope, which has excellent dining, shopping, and antique shops. It's about 40 minutes to the resort towns of Gulf Shores and Orange Beach on the Gulf of Mexico. 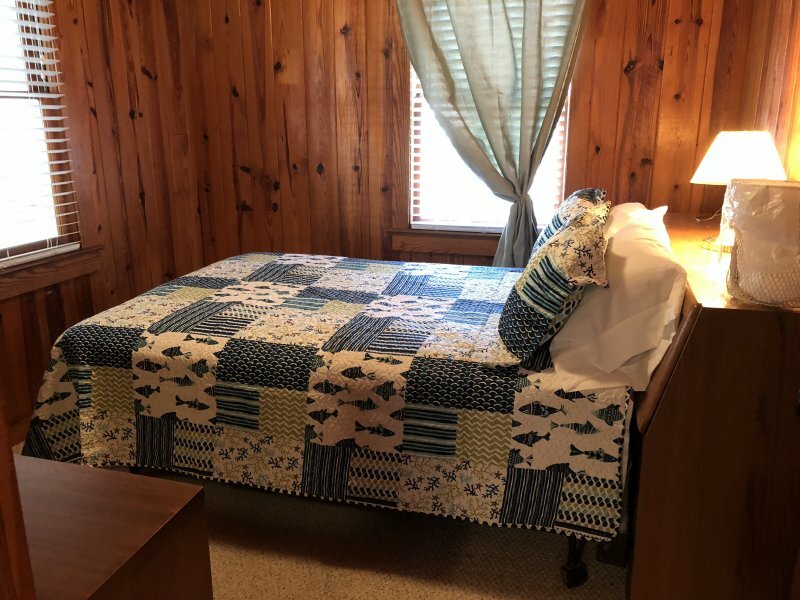 The quiet and serene cottage is 4 miles from the famous and historic Grand Hotel with fine dining, tennis courts, and a beautiful golf course. A park with picnic tables and boat launching facilities are a mile down the road. The glass enclosed sleeping porch provides a scenic view over looking the sparkling bay and the evening sunset. 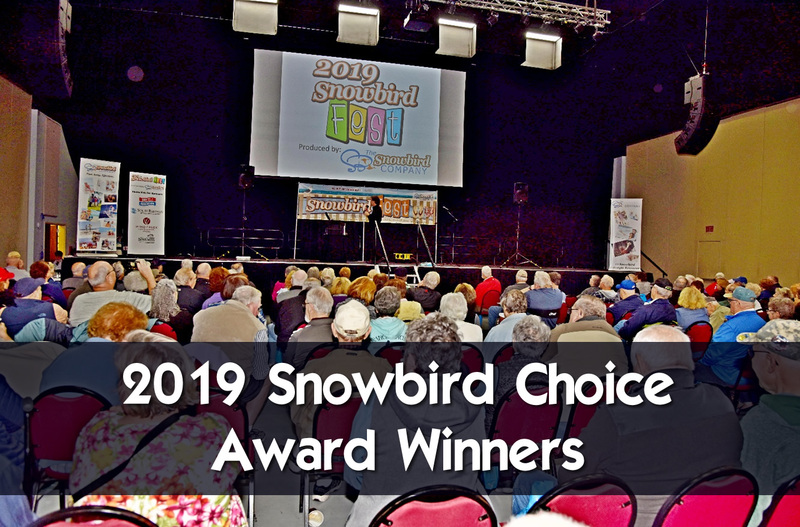 Fairhope has seasonal annual events, such as Polo at the Point, the festive and formal Black and White Ball held at the Grand Hotel, Mardi Gras parades, and the spring Arts and Crafts Festival. Mobile, Alabama is 45 minutes from Krimmel Kottage and is the birthplace of Mardi Gras and continues its Mardi Gas parades in February. Mobile has 300 years of history with a battleship,antibellum homes and beautiful gardens to tour. Mobile and Baldwin Counties have many state parks. Five Rivers State Park is the second largest river delta in the country. It gets it's name from the 5 rivers that empty into Mobile Bay. There are many outdoors activities to enjoy there. Krimmel Kottage was built in 1952 by my Aunt Gertrude Krimmel and has remained in the family over the years. We spent our childhood swimming and skiing in Mobile Bay and building sand castles on the beach. A large wrap around screen porch was added some years later to enjoy the bay breezes as the house was not air conditioned. 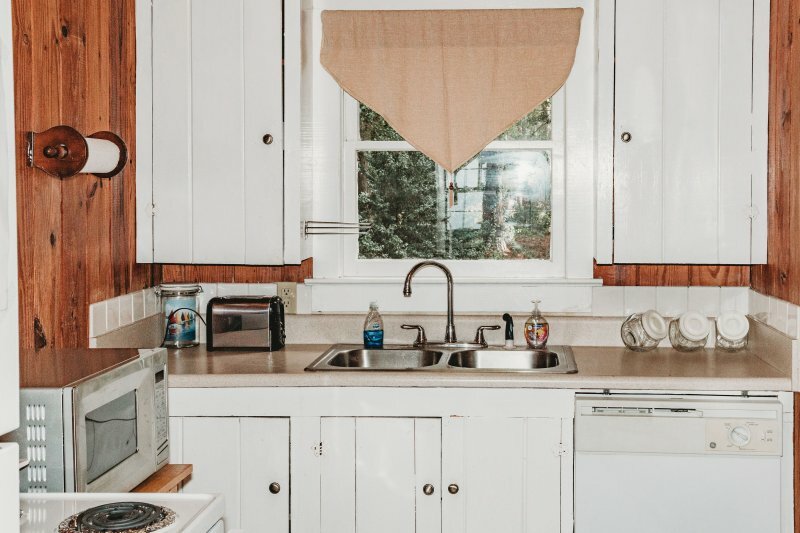 In 2004 we installed windows on the screened porch and purchased the first central heating and cooling system. The cottage is completely remodeled, and we put a deck on the front to continue to enjoy the cool breezes and the beautiful sunsets. 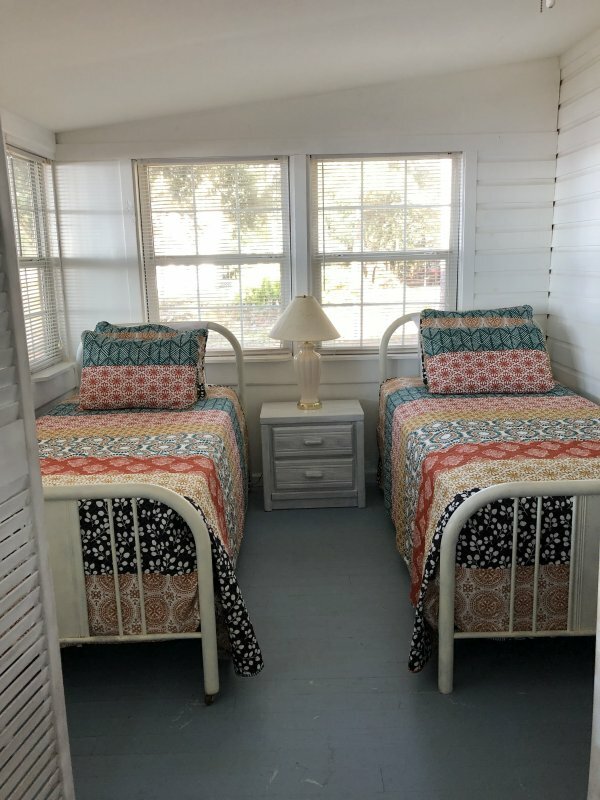 Description Cozy Krimmel Kottage on beautiful Mobile Bay is 45 minutes from Mobile, Alabama and one hour from Pensacola, Florida. 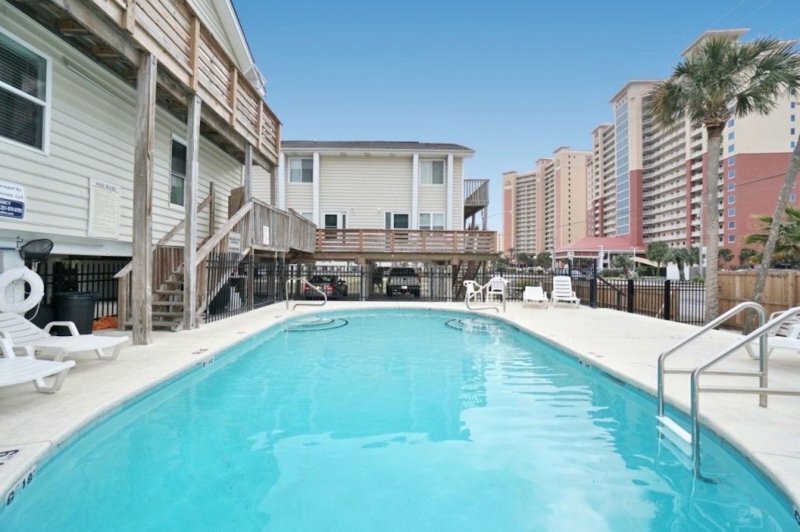 It comfortably sits on a sandy beach area on Mobile Bay which flows into The Gulf of Mexico. 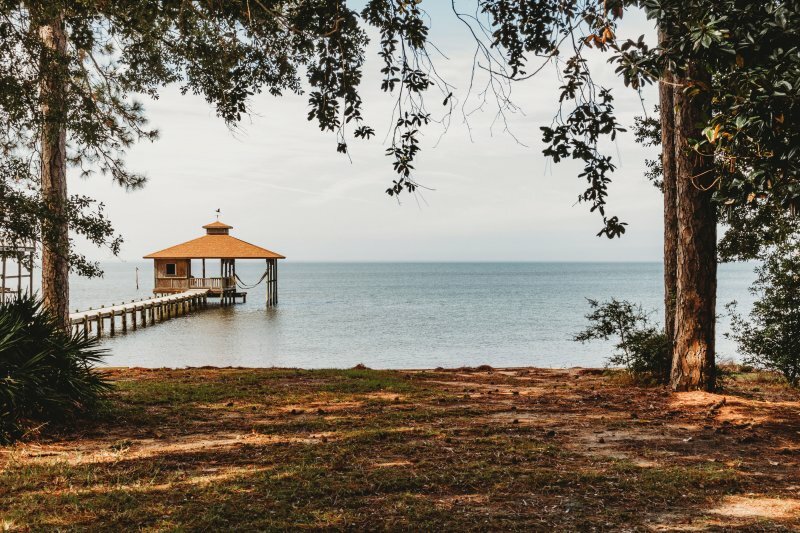 The Cottage is close to Oldtown Fairhope, which has excellent dining, shopping, and antique shops. 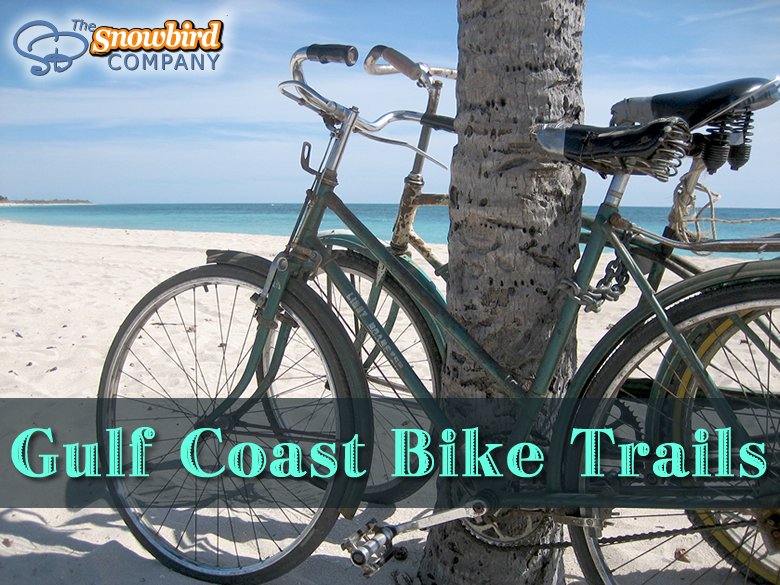 It's about 40 minutes to the resort towns of Gulf Shores and Orange Beach on the Gulf of Mexico. 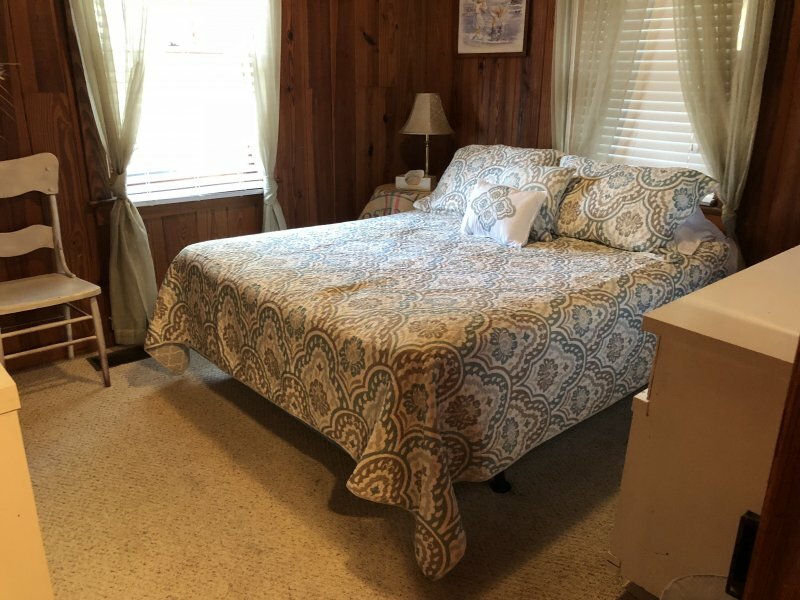 The quiet and serene cottage is 4 miles from the famous and historic Grand Hotel with fine dining, tennis courts, and a beautiful golf course. A park with picnic tables and boat launching facilities are a mile down the road. 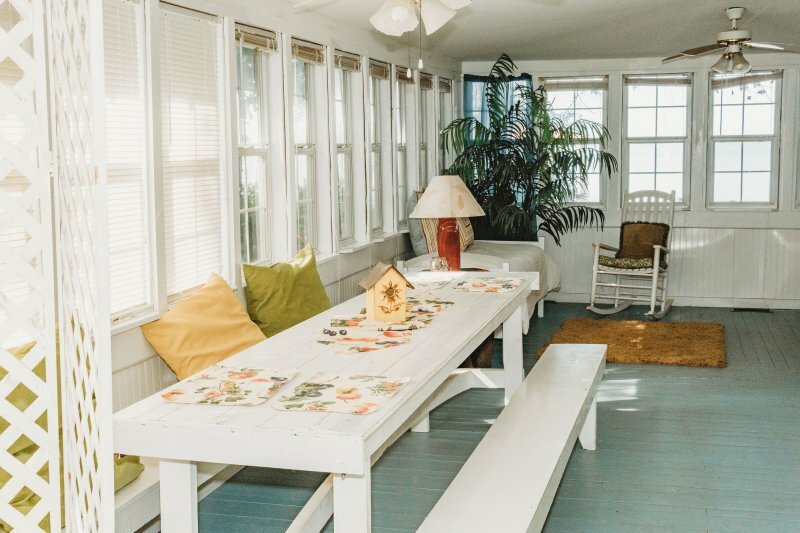 The glass enclosed sleeping porch provides a scenic view over looking the sparkling bay and the evening sunset. 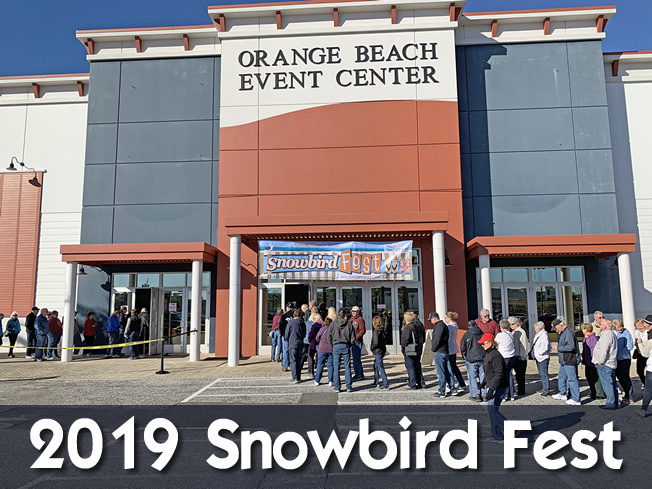 Fairhope has seasonal annual events, such as Polo at the Point, the festive and formal Black and White Ball held at the Grand Hotel, Mardi Gras parades, and the spring Arts and Crafts Festival. Mobile, Alabama is 45 minutes from Krimmel Kottage and is the birthplace of Mardi Gras and continues its Mardi Gas parades in February. Mobile has 300 years of history with a battleship,antibellum homes and beautiful gardens to tour. Mobile and Baldwin Counties have many state parks. Five Rivers State Park is the second largest river delta in the country. It gets it's name from the 5 rivers that empty into Mobile Bay. There are many outdoors activities to enjoy there. Krimmel Kottage was built in 1952 by my Aunt Gertrude Krimmel and has remained in the family over the years. We spent our childhood swimming and skiing in Mobile Bay and building sand castles on the beach. A large wrap around screen porch was added some years later to enjoy the bay breezes as the house was not air conditioned. In 2004 we installed windows on the screened porch and purchased the first central heating and cooling system. The cottage is completely remodeled, and we put a deck on the front to continue to enjoy the cool breezes and the beautiful sunsets. Additional Rate Information Weekly and Montly rentals require 50% rental period deposit for reservation and balance on check in. There is a public park and boat launch area about a mile from the Kottage. The Kottage looks west to the sunsets on Mobile Bay. The breeze from off shore and the sunsets are very relaxing on the deck in front of the Kottage. The kids can swim and play on the small beach in front while you watch from the deck. Dragonfly . 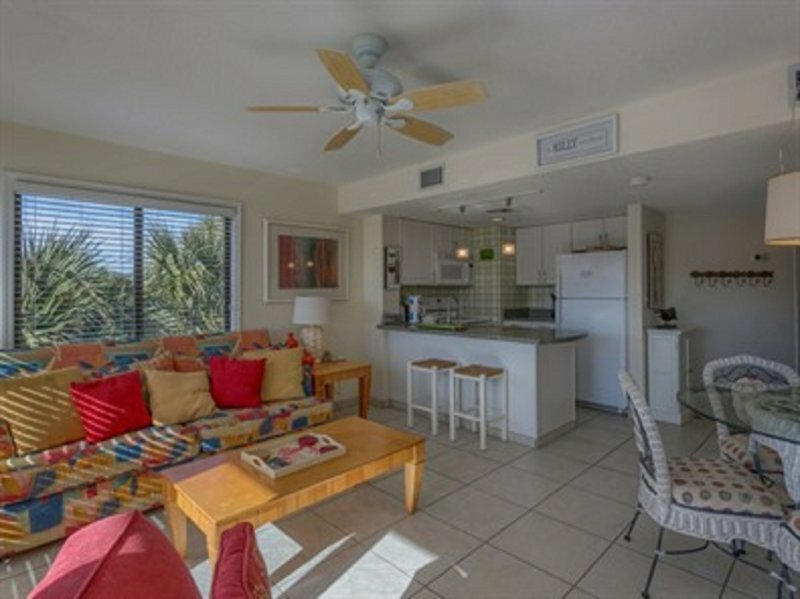 . . a wonderful 2BR/1BA House, just 1 block from shops & the beach!! 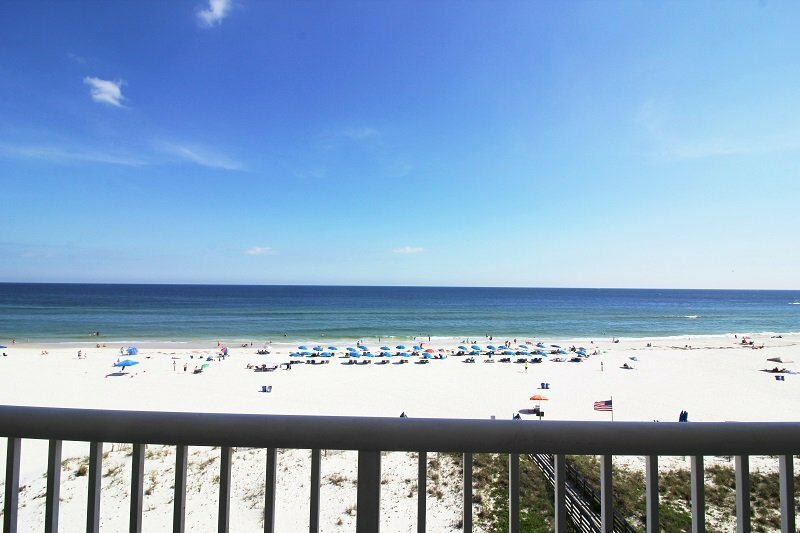 JUST RENOVATED, GULF VIEW FROM PRIVATE BALCONIES, HEART of GULF SHORES! !